Our fear that the new Toyota Supra will not come with a manual transmission has essentially been confirmed, with Toyota’s global chief engineer Tetsuya Tada telling Autoblog that Supra fans don’t really want to row their own gears that badly. Excuse me? Speaking with Autoblog at a “roundtable” at the Geneva Motor Show, Tada—the chief engineer behind the Toyota 86, and the man who allegedly fought to have this new car called the Supra in the first place—essentially confirmed that the new sports car will not get a manual transmission. Why not? Wow. My first instinct is to agree with Autoblog’s “we have a hard time believing him on that point” statement, because I myself cannot imagine why fans of a cult-classic like the Supra wouldn’t want to row through their own gears. It is a sports car, after all. Then again, I also wouldn’t be surprised if Tada had a mountain of market research data backing up his claim, because, as a general rule, that’s how a lot of business decisions get made. Still, I want to see that data. I want to see the receipts. Because right now, I’m totally in denial. That’s awesome. 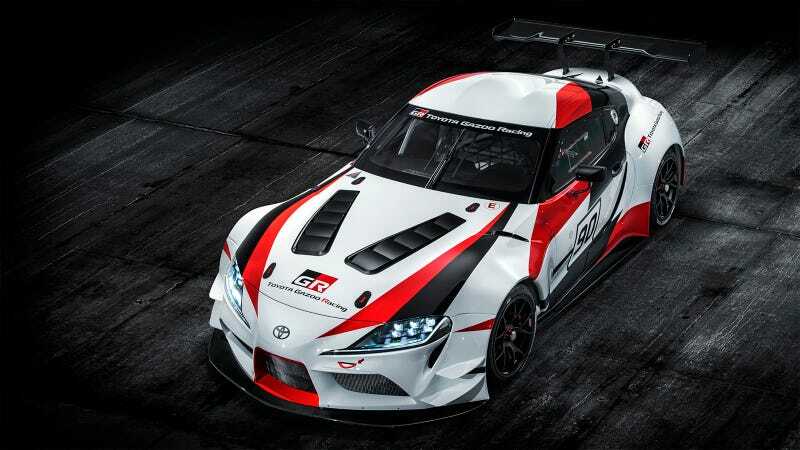 Yes, I’d have been happier if Tada had added “ridiculously robust” just before “straight six” (because its engine’s ability to handle crazy power is what made the Supra a Supra), but the fact that the aftermarket will be able to play with the new Supra is encouraging. The article goes on to mention that the brother of the next-generation BMW Z4 will not feature a transaxle, but will still have a 50:50 weight distribution, with Tada saying that the goal for the vehicle is not for it to be a record-breaking track machine, but for it to be fun to drive. Though that brings me right back to the manual transmission. Because what says “fun to drive” like a beautifully weighted clutch pedal and an excellent shifter?